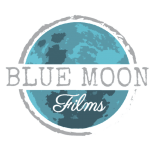 Based in North East Lincolnshire Blue Moon Films is an independent film production studio. My rule is to be unobtrusive giving me the best opportunity to document the candid magic of your day. I put storytelling as the number one priority. Passionate about delivering films that have a powerful narrative. With love, energy, fun and family at the heart of your film. I believe your film should be as individual as you are!